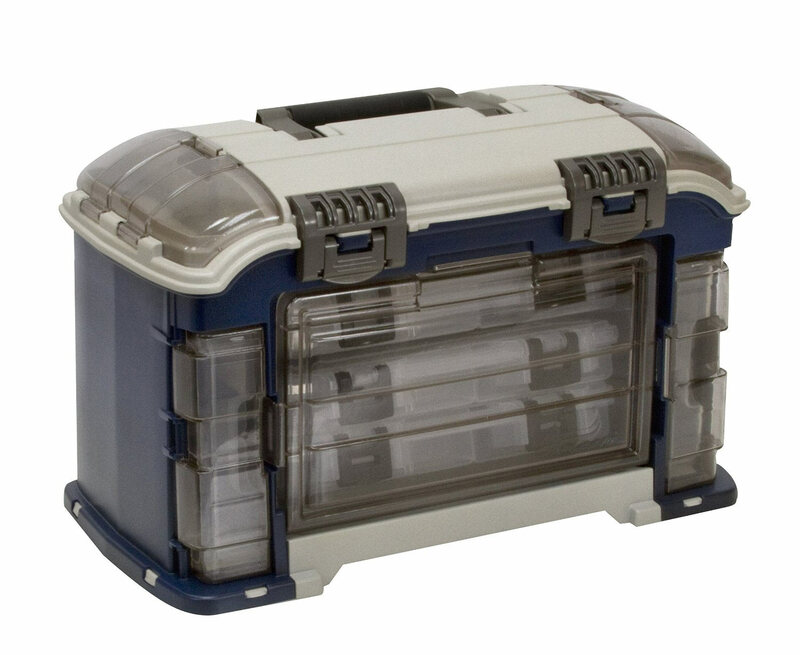 Upscale design has larger drawer and deep top well for more capacity. 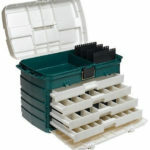 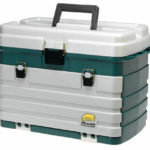 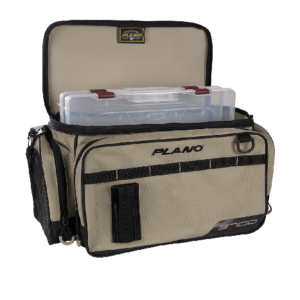 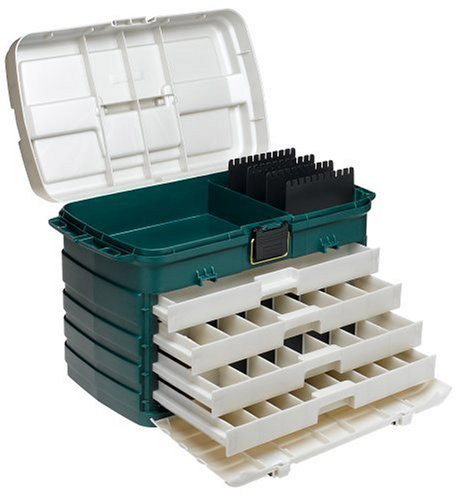 Adjustable dividers create 36-53 worm-proof compartments in 4 drawers. 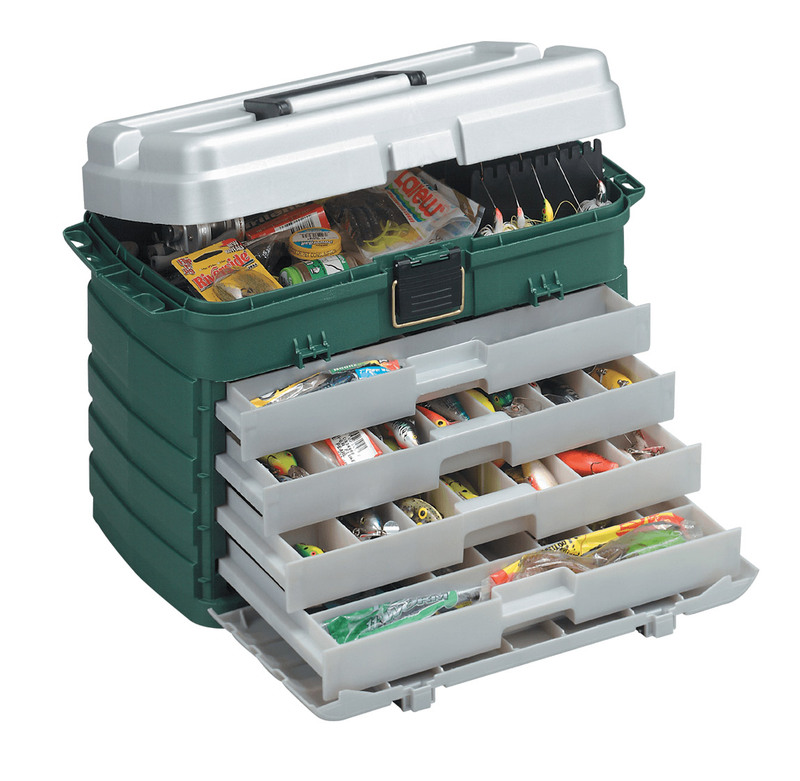 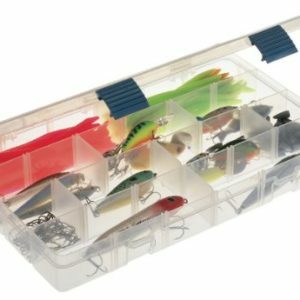 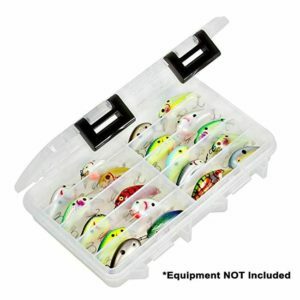 Deep top storage well holds 4 spinner bait racks. 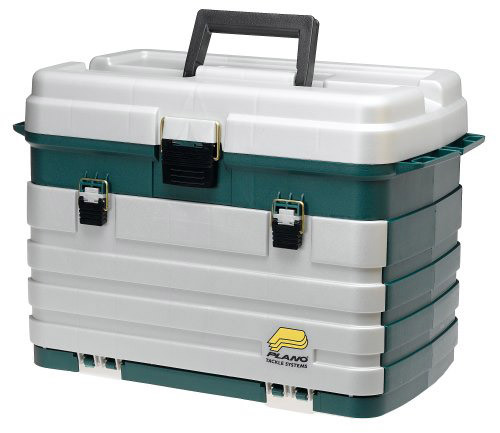 Size: 20.75 L x 11.5 W x 13.88 h inches.